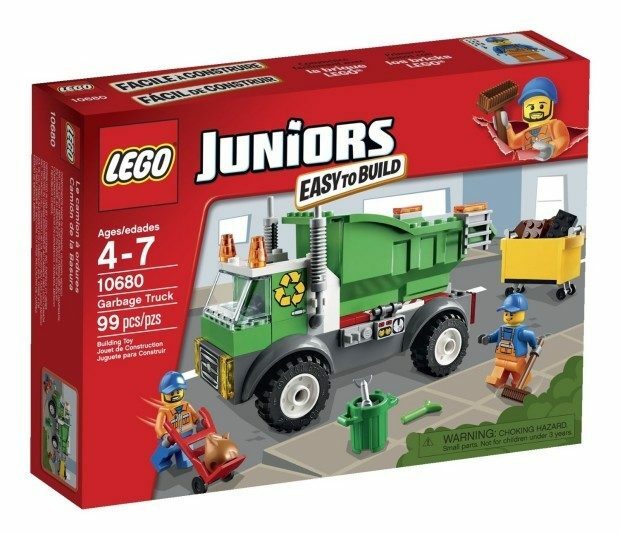 LEGO Juniors Garbage Truck Only $14.99! You are here: Home / Great Deals / Amazon Deals / LEGO Juniors Garbage Truck Only $14.99! Go on the rounds with the sanitation workers on collection day! The Easy to Build Garbage Truck with dumpster means you’ll be ready to go in no time at all! Head to Amazon to pickup the LEGO Juniors Garbage Truck for Only $14.99! Help the workers empty the garbage into the dumpster, load it onto the truck and tip all the garbage in. Includes 2 sanitation worker mini figures. FREE Shipping for Prime members or get FREE Shipping on orders of $35+!